Ross Turner is a small business owner with over 30 years of experience in the insurance business. 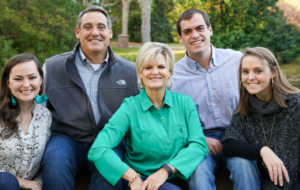 Born and raised in Greenville, SC, Ross is a graduate of Clemson University with a degree in financial management. Ross and his wife Julie have lived in Greenville’s Gower Estates for most of their married life. The Turners were married in 1990 and have three children. Ross was elected to the State Senate for District 8 of South Carolina in 2012. He serves on the following committees: Judiciary; Labor, Commerce, and Industry; Corrections and Penology; Fish, Game, and Forestry; and the Rules committees. In addition, he is on the Board of Trustees for The Peace Center of Greenville and is an alumni member of Leadership Greenville, Class of 33. He is a member of Buncombe Street United Methodist Church where he has served on numerous committees. 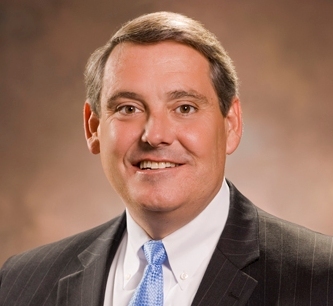 He has served on many other boards such as YMCA Camp Greenville, the Upstate Judicial Merit Selection Committee, Greenville Clemson Club, and more. He has served as an officer and volunteer with the Booster Clubs and PTA organizations of his childrens’ schools, which include Sara Collins Elementary, Beck Academy, and JL Mann Academy. Ross was awarded the 2013 Hayne Glover Independent Agent of the Year by the Independent Insurance Agents and Brokers of South Carolina in recognition for outstanding community service and contributing to the betterment of the insurance industry. His business was awarded the Better Business Bureau Business of Integrity award and the Safeco Insurance Make More Happen Award for Community Service. Over the last two years, his business has been named of the Top 25 Best Places to Work by the South Carolina Chamber of Commerce. Ross is an avid reader of business trends and a keen observer. He spends most of his spare time watching sporting events, dance team competitions, or timing at swim meets. He loves spending time with family and wishes he had more time to hunt.